An adorably easy Rudolph Gift Jar, perfect for your gift-giving this holiday! I’m kind of in love with these super cute gift jars. They are SERIOUSLY cute and festive, and even more so in person! Best of all, they take just a few minutes to put together, which in my book, makes them perfection. 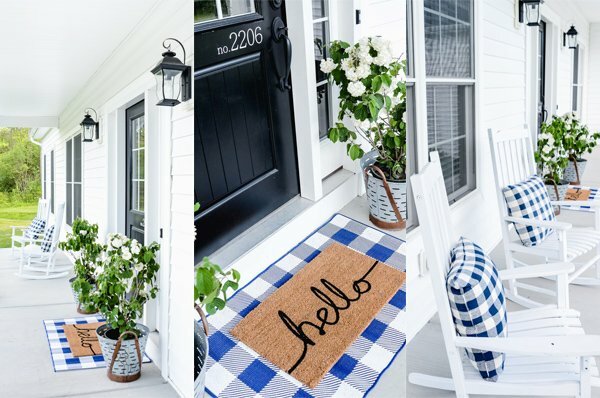 They’re perfect for neighbors, teachers, friends, and more! *Fill your jar or milk bottle with Whoppers. I found my cute jar with the red lid at Target’s One Spot, and they often have cute jars for $1. It’s a great place to look! You can also spray paint your lid red, or even use a cute red patterned washi tape around the ring. *The red nose is cardstock, and the eyes are black vinyl dots that I used a hole punch to cut them out with. Other alternatives for the nose are red vinyl or even a red pom-pom, and you could use google eyes or black cardstock instead of the black vinyl for the eyes. It really is a great project in that way, because there are so many different options and you can use what you have. And that’s it! So simple and easy, and SO darling. That’s my favorite combination, especially during the busy holidays. 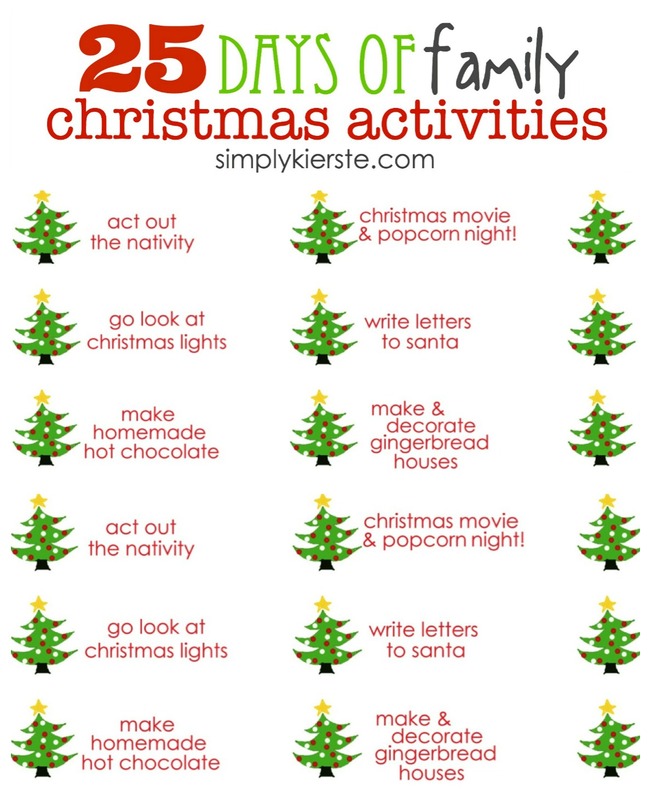 25 Days of Family Christmas Activities + FREE Printables! 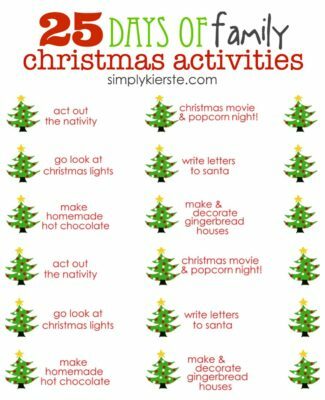 We love counting down to Christmas with fun activities and service projects, and I’ve got a whole list of ideas, plus free printable labels to make it even easier.